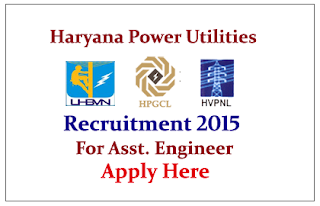 Haryana Power Utilities (HPUs) is recruiting for the post of Assistant Engineer. 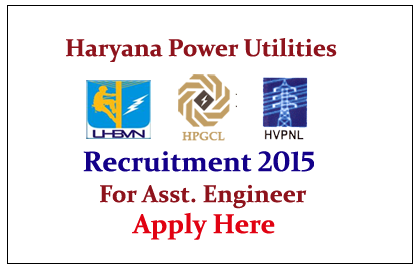 Interested and Eligible candidate can apply on or before 16th August 2015. How to Apply: Interested and eligible candidate can apply online through below Mentioned websites from 18.07.2015 to 16.08.2015. For more details kindly check official notification.